Yes, there is no doubt there many looove the ending seasons of Buffy, I'm just not one of them. I loved season 5 so much that they seemed like a downer in comparison. Same with Supernatch! But like I said, I have faith that this season is going to be great. Totally excited for Marters and Charisma playing a couple. I highly recommend you watch it when it's done! You guys, this is brilliant. I totally feel where you're coming from. Season 6 (of SPN) lagged a ton. I'm really excited for these posts... 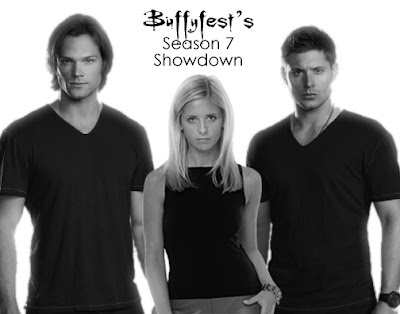 I might have to participate in a season 7 Buffy rewatch as well. I'm actually I massive fan of the sixth season. It's my favourite (along with season five). Though I understand why people don't like it as much. 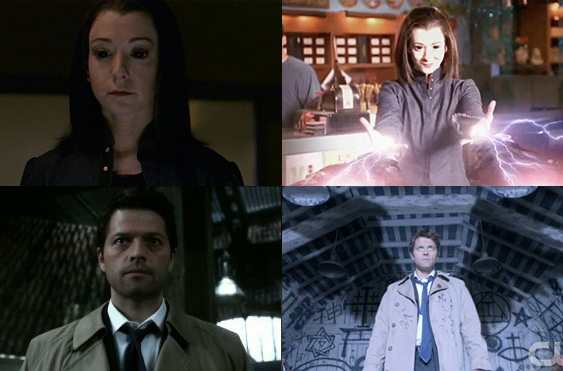 But I've felt Supernatural lost it's way a while ago. I thought the first few seasons were awesome and I loved them. But then the God storyline, with the Angels and the devil and everything else happened and it went on way to long, it just never stopped. To me it wasn't enjoyable. Though I loved the way they linked the special children, yellow eyes and everyone to the story. That was very well done. I haven't seen season six of Supernatural yet, I will watch it but I've heard mixed things about it, then again I absolutely love season six of Buffy which isn't that popular.... so what do I know. Yes, there are a couple of similarities & Buffy was good but sucked after sometime; As for SUPERNATURAL just keeps getting better & better. The Supernatural Season 7 is an American television series show that is on are hotly now. While investigating a number of murders, Dean as well as Sam learn how the Egyptain lord Osiris accounts for the killings. A lord with only revenge upon his thoughts, Osiris is actually putting arbitrary people upon trial for just about any mistakes they have made previously and after that promptly eliminating them in the event that they're discovered guilty. On sensing Dean's shame, Osiris places him upon trial along with Sam getting Dean's attorney.